The island of Majorca (also known as Mallorca) is the largest of the four Balearic Islands (Majorca, Menorca, Ibiza, Formentera) located to the East of mainland Spain in the Mediterranean Sea. 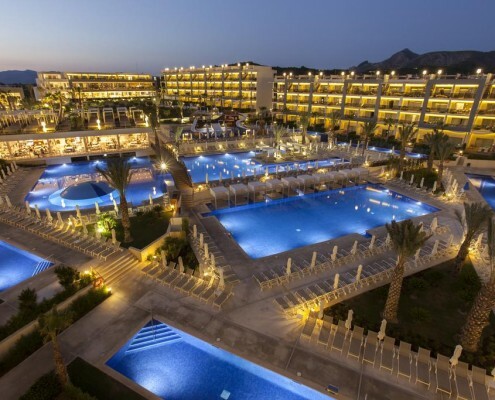 Majorca golf holidays have become hugely popular due to its all round offering of golf, nightlife and great beaches along with is fabulous climate. The island enjoys over 300 days of sunshine per year and has become a real contender for golf groups looking for a break. The region has accommodation and golf courses to suit all types of budgets. Some of the most popular regions on the island include Palma, Portals and Santa Ponsa. Depending on your preference for night life and relaxation we can recommend an option to suit your needs. The beaches of the Island are beautiful and are always a joy to enjoy during your holiday. For a relatively small island it has many golf courses to choose from with some great quality too, Andratx, Alcanada, Bendinat, Park Pontiro, Santa Ponsa and the Son Antem to mention just a few. 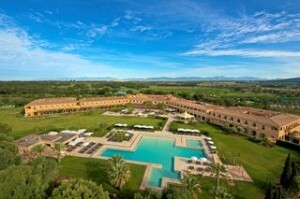 These courses are always busy with golf groups that return for golf holidays in Majorca year after year. Transfer times will never be too long, but we can put together a suitable package with courses in close proximity to your destination of choice on the island. Interestingly the main language of the Island is not Spanish but is actually a Catalan language called “Mallorca”, this is actually what the locals refer to the name of the Island as, and not Majorca as it is known across Europe. The island boasts true beauty and along with the fantastic climate this is one of the reasons tourism is booming. The island is quite interesting in that the North of the Island has quite a rocky terrain in comparison to the relative flatness throughout the centre of the Island. The Sallés Hotel Marina Portals are dedicated to meeting their clients’ expectations, whether your stay is for business purposes or to enjoy a few days relaxation. They offer personalised services throughout the whole Hotel, services in the rooms and extras to meet the needs of every guest. The CABAU Aquasol Aparthotel in Palma Nova has been completely refurbished and constant improvements are always made on the complex to make your stay comfortable and enjoyable. We are open between March and November. 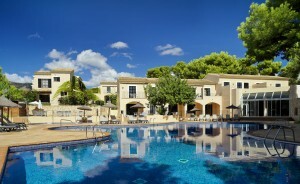 Aquasol is where to stay in Majorca! The Hotel Hawaii Mallorca is Palma Nova hotel for families and couples where you can enjoy full service: from self catering to all inclusive; and a host of amenities that will guarantee an unforgettable holiday. 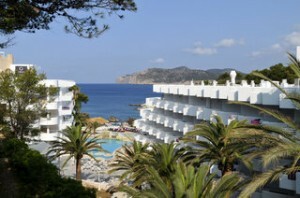 This hotel, formed by Suites, is located right on Cala Blanca beach, next to Santa Ponsa Bay. 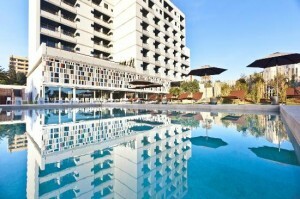 It offers 175 spacious rooms with sea view, children’s area, pools, bars and restaurants. 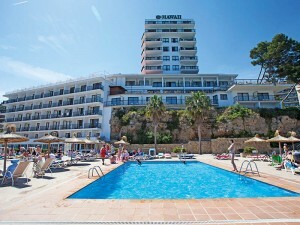 The Globales Pionero Hotel is in Santa Ponsa just 300 m. from its beach and only 20 min. from the capital of Majorca, Palma. The hotel, with its all inclusive option, pleasant climate controlled halls, satellite TV lounge, bars, swimming pools for adults and children, 1 heated swimming pool, sauna etc., has comfortable rooms with air conditioning (cold/hot) as well as non-smoking rooms and 6 handicap accessible rooms. 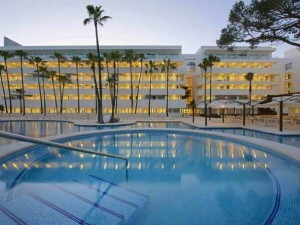 The FERGUS Bahía Palma Nova Hotel is a small and attractive hotel located at Palma Nova beach. It is an ideal place to enjoy your holidays in a calm atmosphere, full of proposals and excellent services. 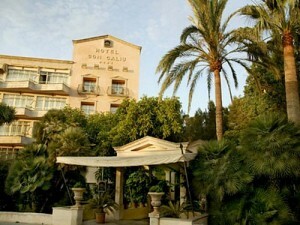 The Son Caliu Hotel Spa Oasis opened in 1964, is one of the most emblematic hotels in the area of Palmanova. Throughout its history, it has undergone different processes of renewal, most recently opening of the Son Caliu Beach in 2014, and currently remains with the renovation of the rooms during the winter months, when the hotel is closed. The hotel is situated on the peaceful Costa d’en Blanes in the south of Mallorca, an exceptional area with stunning beaches and prestigious golf courses. 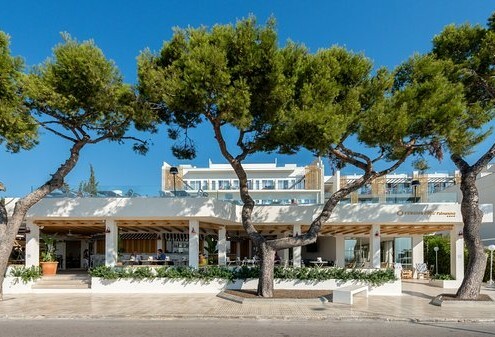 The hotel Barceló Illetas Albatros **** is an avant-garde hotel for adults only, located in Palma Bay, in the quiet coastal area of ​​Illetas, 5 minutes from the sea front and the city centre and only 14 km from the airport. 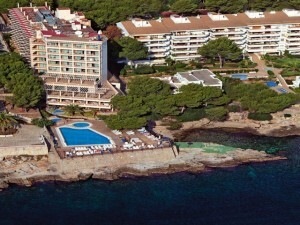 The IBEROSTAR Son Antem 5-star hotel is in South Majorca, very close to Palma and the best beaches on the island. In a charming natural setting, the hotel is in a traditional Mediterranean style and features beautiful rooms and a refined atmosphere. 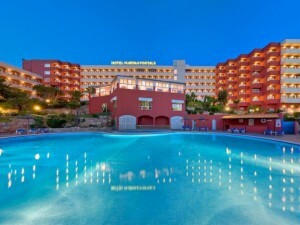 The IBEROSTAR Cristina is located just 100 m from the beach in Playa de Palma. The hotel is surrounded by pine trees, Renovated in 2015, it offers a relaxing spa area and outdoor pool. Hotel Viva Zafiro Alcudia is located in a quiet yet central area. Just 300 metres from the beach, which you can get to by walking through the pedestrianised streets in the centre of Puerto de Alcudia, where you will find a wide selection of restaurants, bars and shops. Set between Palma and Santa Ponça, the Fergus style PalmaNova lies on the beautiful south coast of Majorca. Guests enjoy the Mediterranean sunshine from the hotel’s outdoor swimming pool. At the same time, you can work on your tan whilst enjoying a refreshing drink from the pool-side bar.